Audi’s quality assurance department checks various components for faults on a daily basis. The object being investigated is the full bandwidth of vehicle parts – be it interior, exterior, running gear or engine – the objective remains the car as a complete product. To achieve this, every single component needs to be perfect and with zero defects at the end. 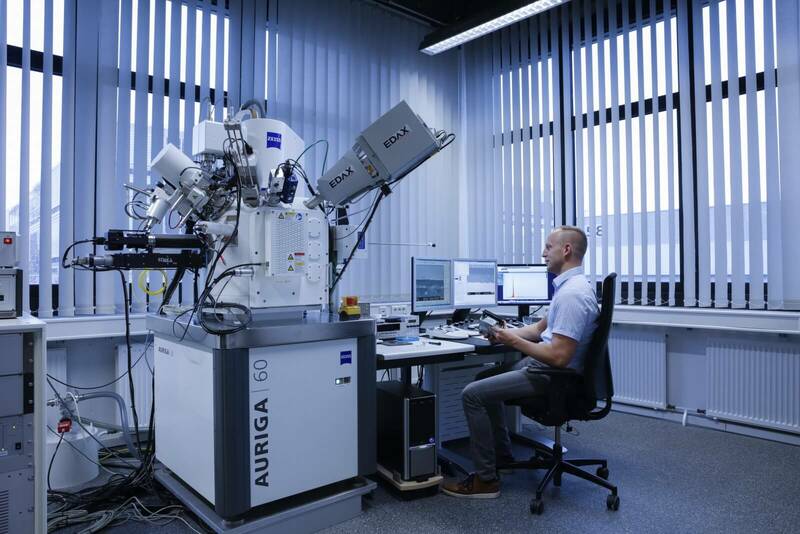 At Audi, Jens Schaufler and his team use the ZEISS AURIGA FIB-SEM for the defect analysis of components situated in engines and gears. The Audi team benefits from the ZEISS AURIGA field emission scanning electron microscope, which enables analyses in the sub-micrometer range. Users benefit from the 3D imaging and analysis capabilities of the GEMINI electron column and the processing and sample preparation ability of a focused ion beam.